The Kevin A. Beardsley Funeral Home of Clearfield and Curwensville is proud to introduce its newest hometown staff member, Seth A. Beardsley. Seth graduated from the Pittsburgh Institute of Mortuary Science in September and has received his state certificate to serve as funeral intern at the funeral home. 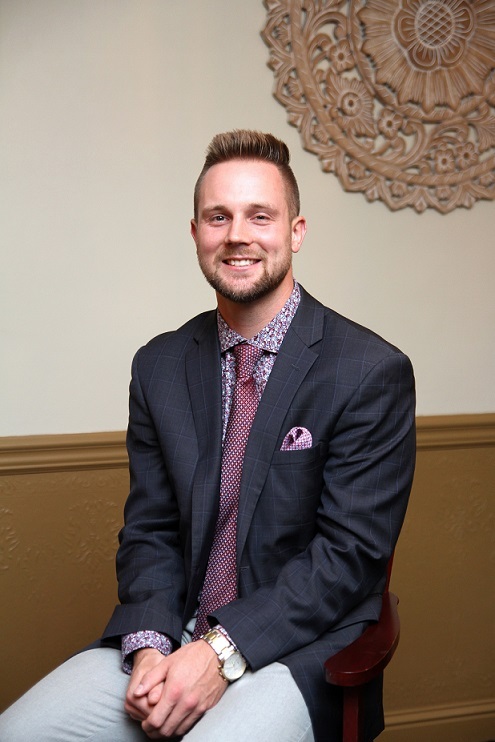 Upon successful completion of the Pennsylvania State Board exam and the 12-month internship, Seth will become a licensed funeral director in the fall of 2019. He will then become a partner in the Kevin A. Beardsley Funeral Home and continue the locally-owned tradition. Seth, born and raised in Clearfield, is a 2013 graduate of the Clearfield Area High School. While there, he was a member of three District 9 Champion Clearfield Bison football teams, in 2010, 2011 and 2012. He was team captain during his senior season. He was also a member of the Bison basketball team from 2011-13 and team captain for the 2012-13 season. Seth is now part of the Bison basketball coaching staff. Prior to mortuary school, Seth received a Bachelor’s degree in business management from the Indiana University of Pennsylvania. Seth is a Cremation Association of North America (CANA) certified crematory operator and a certified funeral celebrant. “Obviously as a small-town business owner, it is heartwarming to have your child join you in the business but more importantly, the community should be excited to have one of their own to serve them in their time of need,” states Kevin Beardsley, father and owner of the funeral home. Seth resides in Clearfield and can be reached at 814-765-5731 or via e-mail at seth@beardsleyfuneralhome.com.